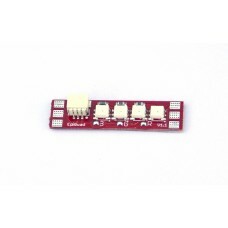 Addressable ledstrip WS2818B per 3 leds. 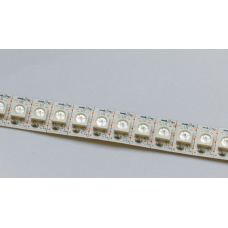 Strip length per led is 6.86mm. Working voltage 5V.. 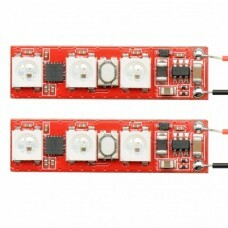 The EpiLedWire is made to simplify the use of LEDS on a quadcopter. No need for 3 extra wires to you..
Easy to use LED strip which requires only a LiPo hookup (2s-4s HV) to function three bright RGB LE..